We are gearing up for our kickstarter live date at 28-10-2016. For this time we want as much people as possible to know about the game. 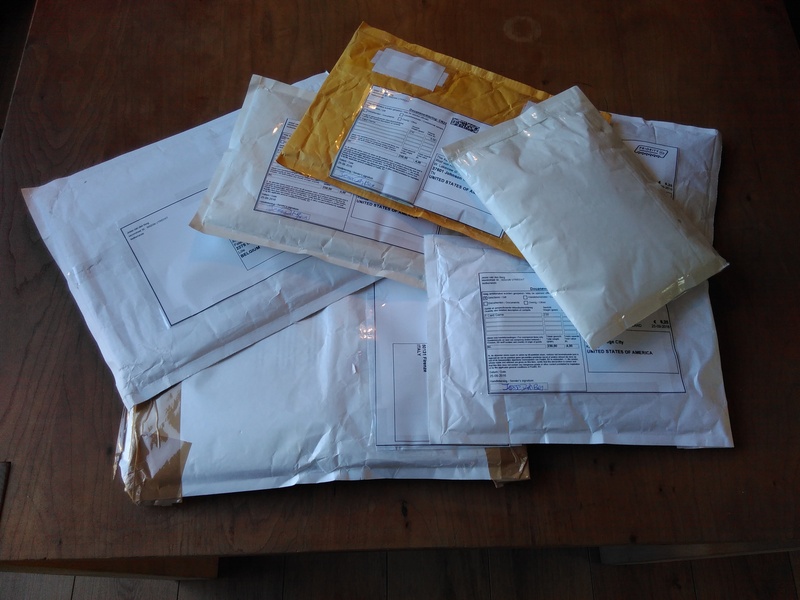 Therefore, we have mailed reviewers all over the world with the question: “Would you like to review our game?” The response was astonishing. So many people that we don’t even know and have their own video channel, blog or even podcast are interested in bringing their experience with our game to the world. This is wonderful! But.. It also means that we need to get those copies of Tamps to these people in the western world. 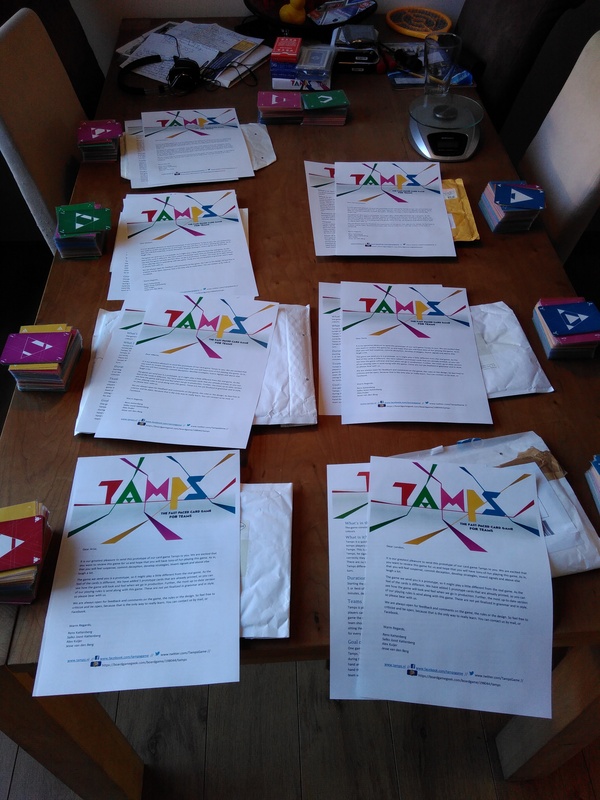 This diary is dedicated to this process and how we made, prepared and shipped 15+ prototypes of Tamps to the Netherlands, Belgium, Germany, Italy, the United States and Canada. 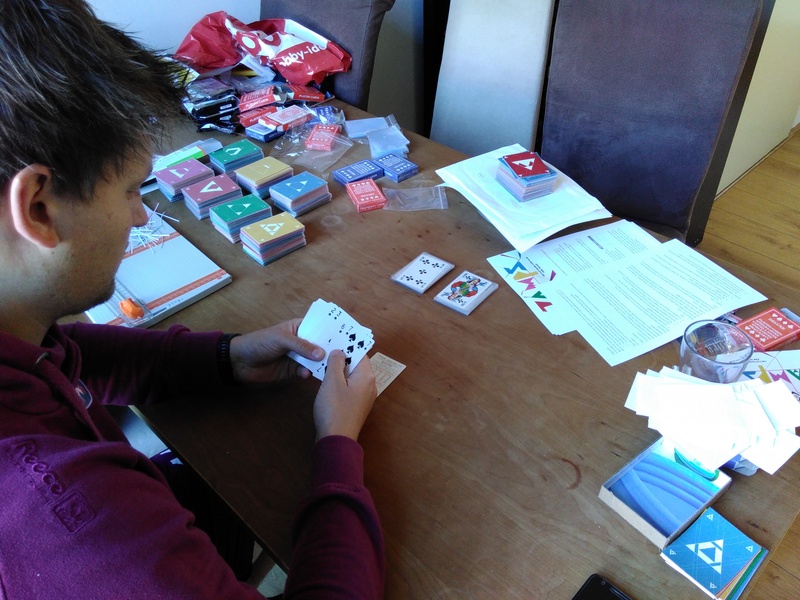 After getting the long list of reviewers that we mailed, at the blog “O reviewer, reviewer wherefore art thou!” from James Mathe, we started making the prototypes. We decided that we would not print these at an official printing studio due to the costs, so we had to do it all ourselves. For this we used plastic card sleeves, regular playing cards for the back and stability, added with a print on normal paper of our card designs. 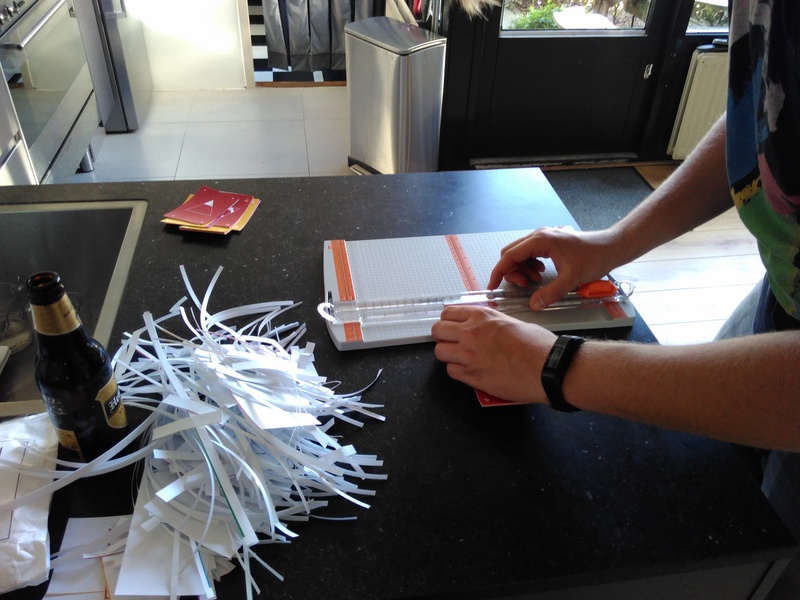 These card designs meant that we had to manually cut every last one of them. Yes, more than a 1000 single cards. Next we had to sleeve all the regular cards and our prints. A process that feels repetitive to say the least. 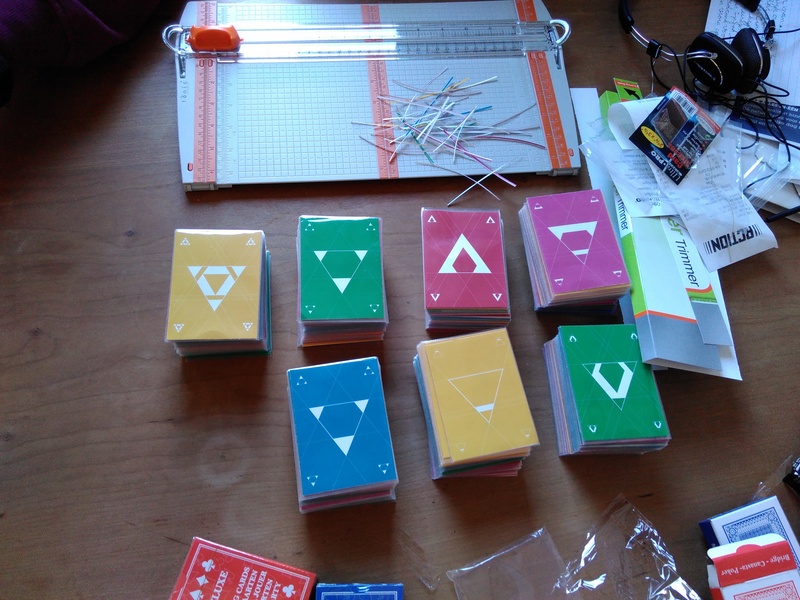 But very rewarding when you see the result of the first batch: 7 prototype decks. Together with a personal note, the rules and a sample of the real cards, these make for a very nice present! Ready to be shipped all over the world! ?? Now let’s hope that they enjoy the game as much as we and you do!